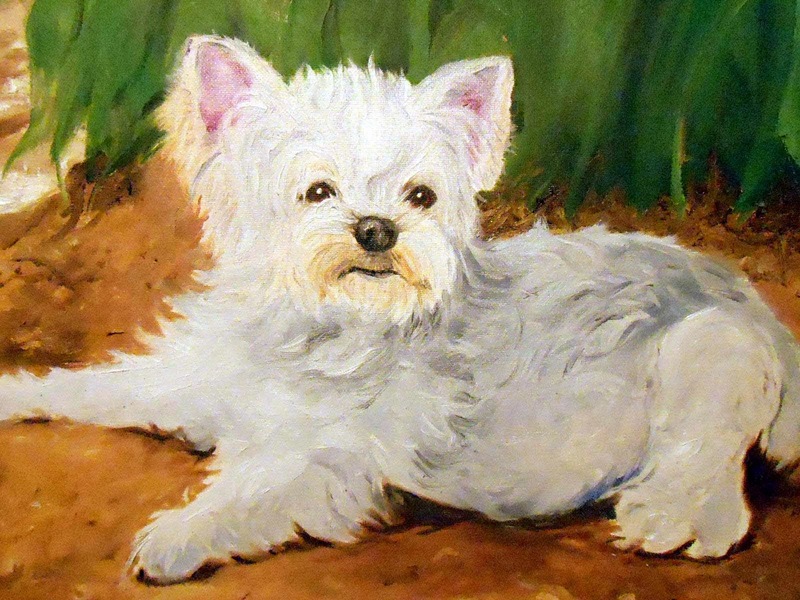 My portrait painting of this little guy was a Christmas gift for a Dallas couple from their kids. It wasn't hard at all to capture that impish expression! This guy is quite elderly, and my clients said it made it all the more poignant and loved by their parents when they opened their gift. I loved working with a group purchase for a gift their parents. I think the love comes through when so much thought is put in advance of the perfect gift for those who have everything. I often paint blended families and new house portraits as wedding gifts, too!